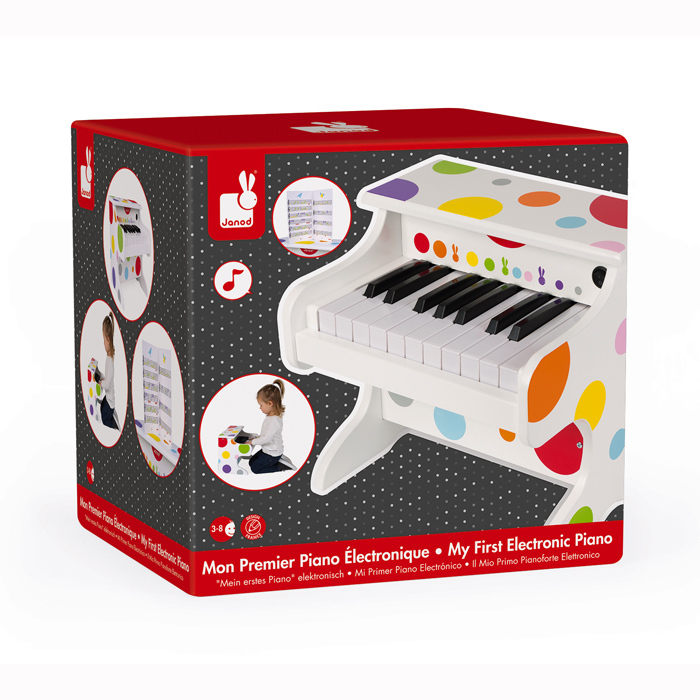 Everyone wants a piano in the playroom and Janod's Confetti My First Electronic Piano is the one to have! 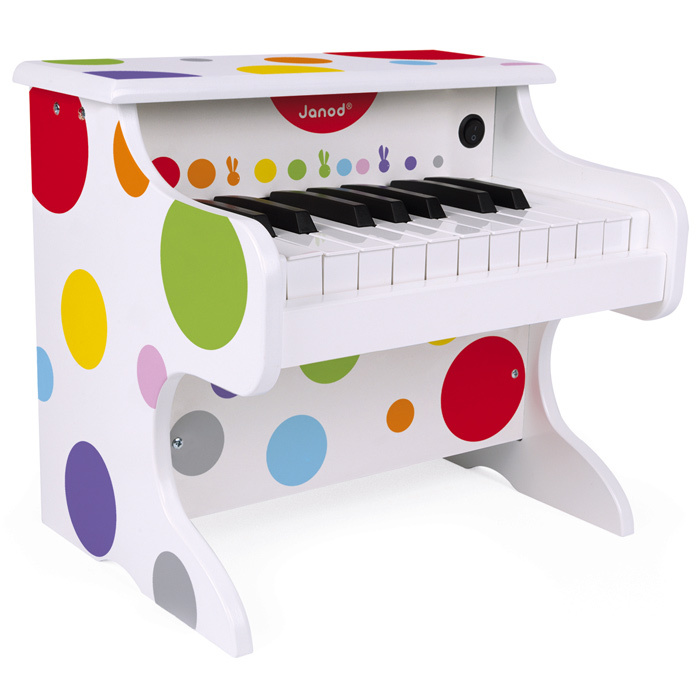 Janod are known for their great range of musical toys but this piano is unsurpassed. 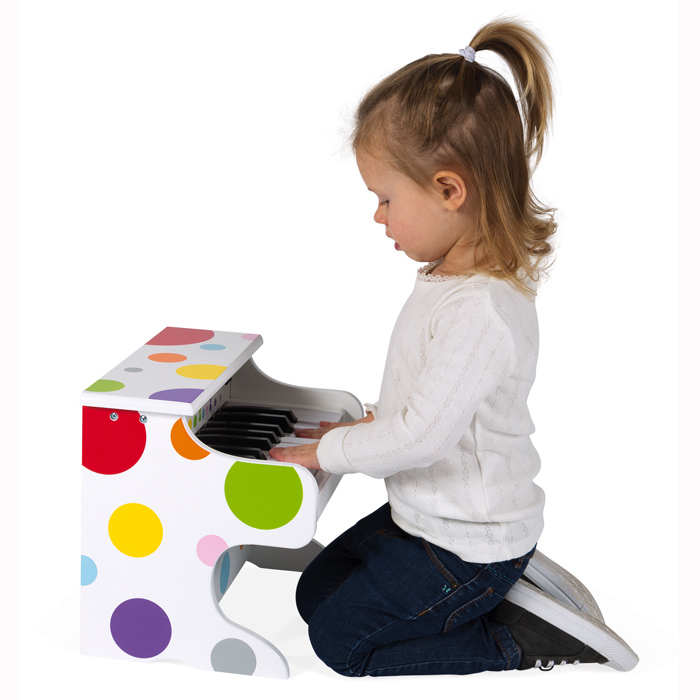 Forget about the funky styling and gorgeous colours, piano's are a favourite and the whole family will be lining up for a go. 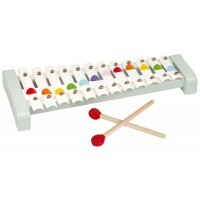 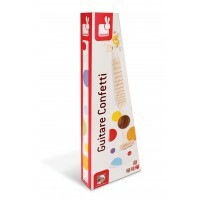 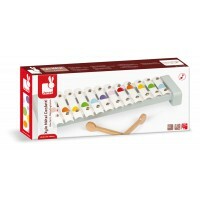 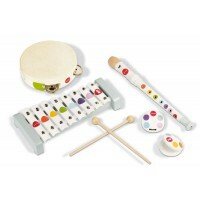 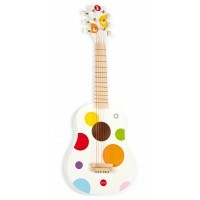 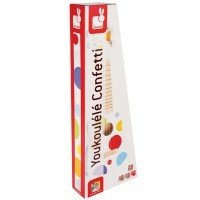 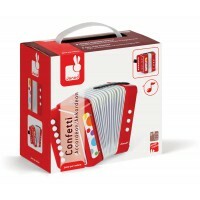 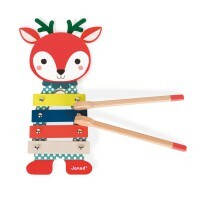 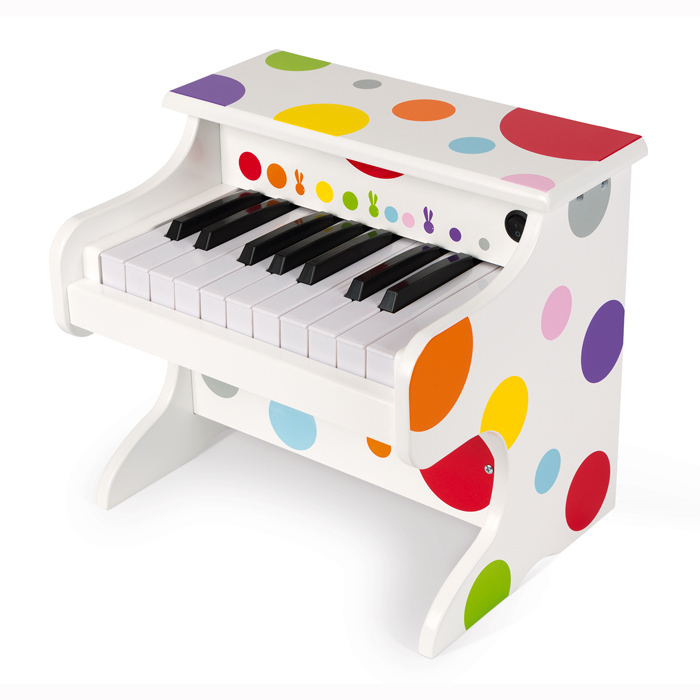 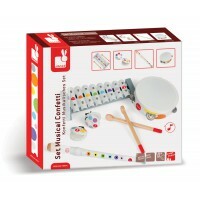 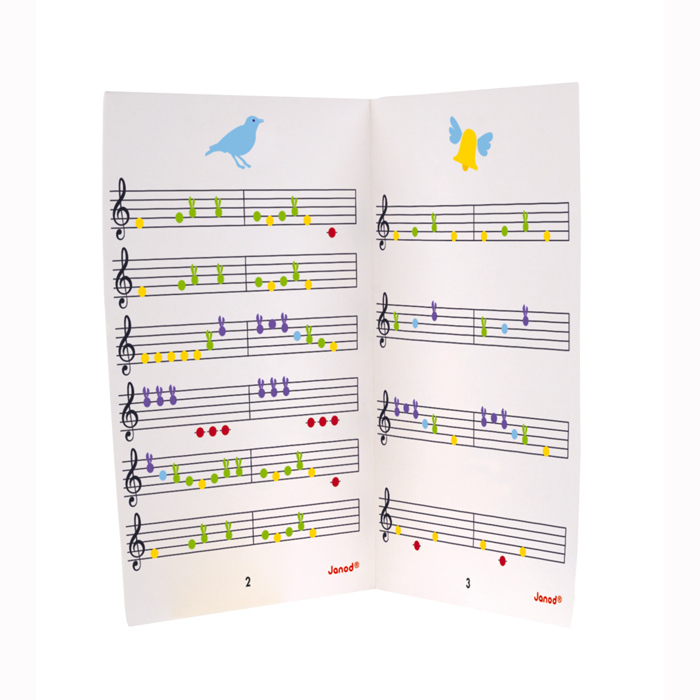 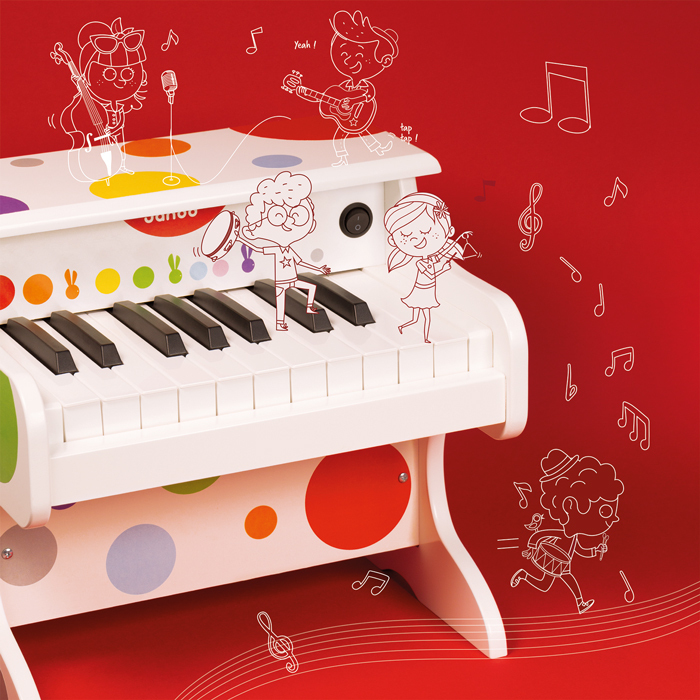 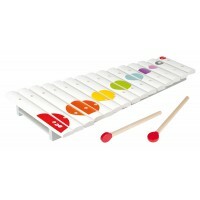 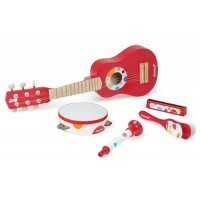 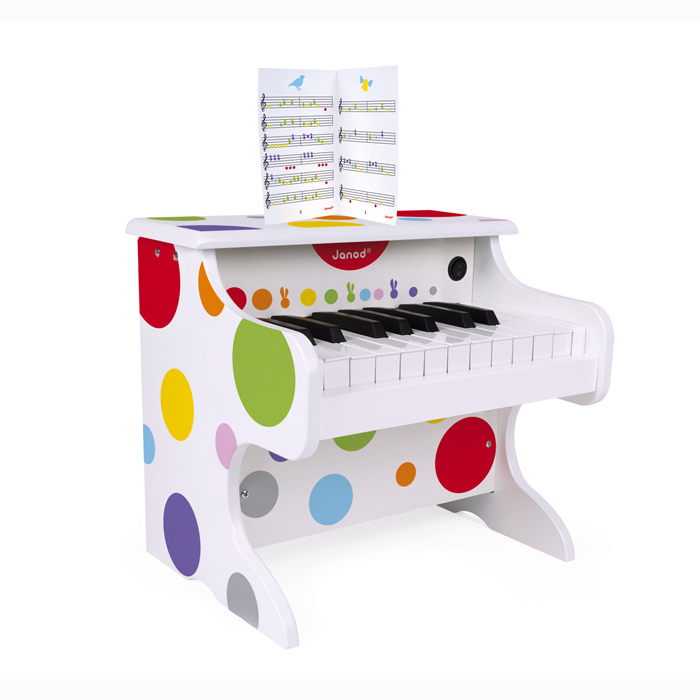 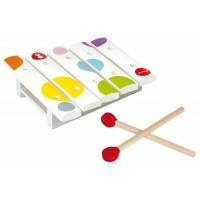 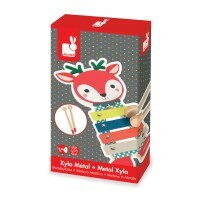 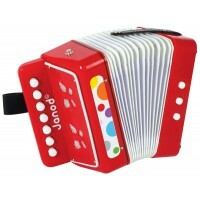 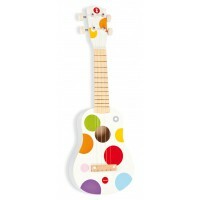 Made from wood and painted in the Janod Confetti polka dots it comes with 4 music sheets that are colour coded for a basic introduction to sheet music and has a melodious sound that will entertain and delight. 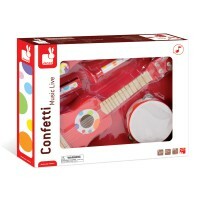 Batteries not included.